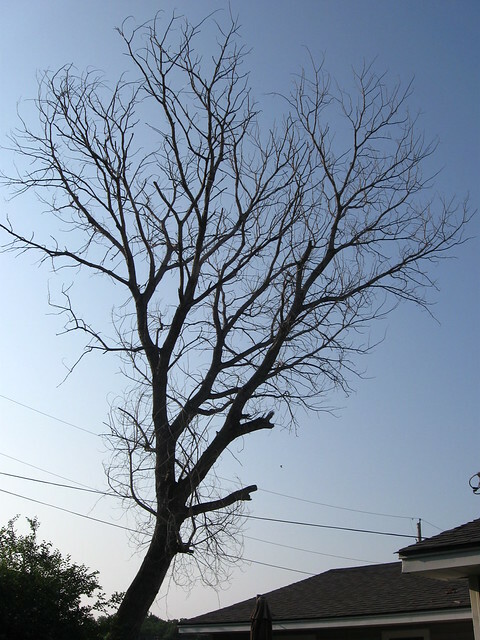 Remember, this is what my tree looked like after it had died. My beautiful shade tree! Gone! Sigh. . . The tree guys accomplished a lot the first day. Then it was Day 2. Again, the guys arrived very early. I was prepared this time. 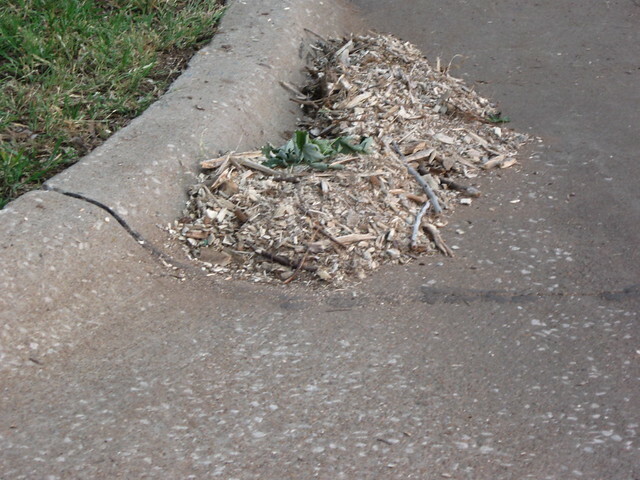 It seemed like they had noticed the pile of wood chips I had swept out of the street. I saw them talking and pointing. HeeHeeHee! Then they got to work. 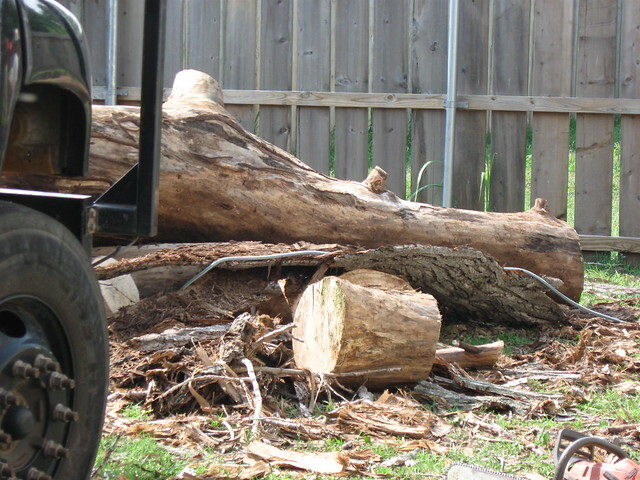 Soon, they had all the branches off and started on the top part of the trunk. They had to lower these chunks using a rope. Sometimes the chunks landed hard on the yard with a huge bang. My office is in a room right by that part of the yard. A little disconcerting. 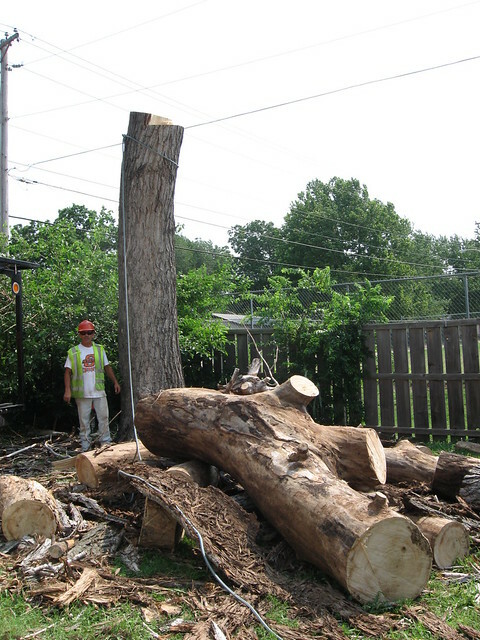 That’s a big pile of wood! They got down to the giant trunk. See how tall the trunk still is? 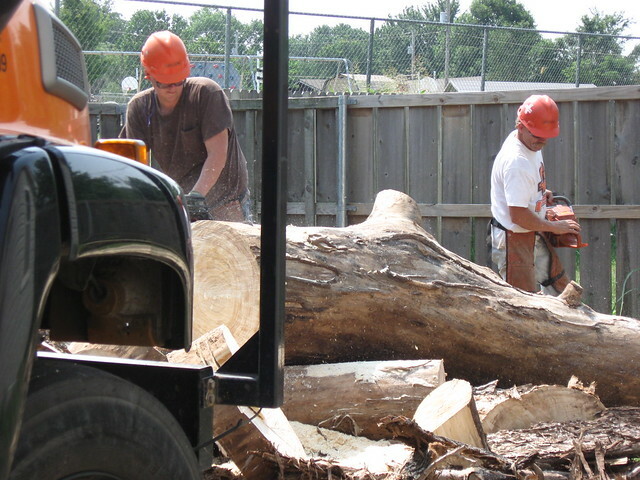 The guys went at the huge logs with power saws. I could barely work during this part. You’ve heard people say that something made their teeth rattle? Well. . . this sawing made my teeth actually vibrate when I was sitting at my desk. Eeewwww. I can’t even imagine what it must be like for those guys! A lot of shake, rattle, and roll! I was really glad for this day to end! 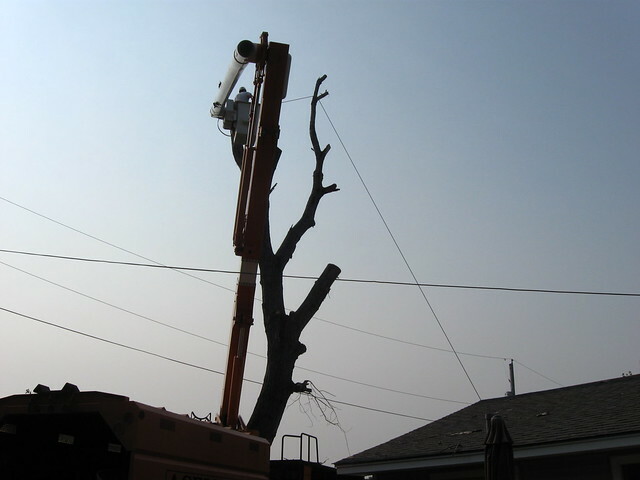 This entry was posted in House, Songs Come to Mind and tagged dead tree, Elvis Presley, house, power lines, Shake Rattle and Roll, song interlude, teeth vibrate, tree removal. Bookmark the permalink. 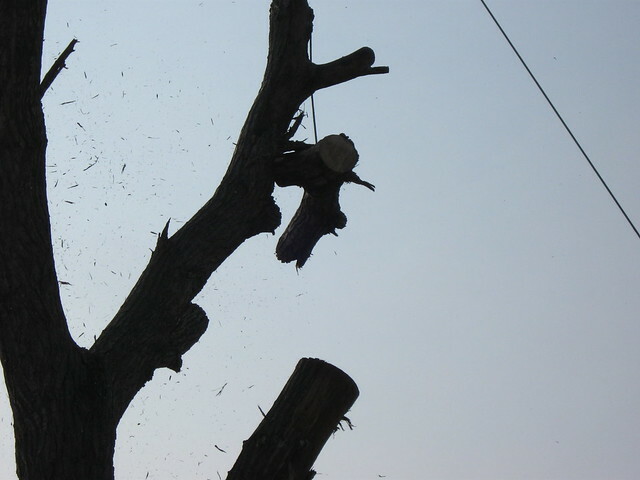 Always hard to see a tree go. Yes, it is. I’m very sad. Sigh. . .
Here’s another song interlude for you….. They must think of you as an old lady with OCD….sweeping the street……LOLOL!!!! I think my brains would have been rattled. Reminds me of when they put a new roof on my house last summer……VERY noisy! That is sad to watch . . . but also interesting. Hmmm. . . you’re right — the branches look like antlers.